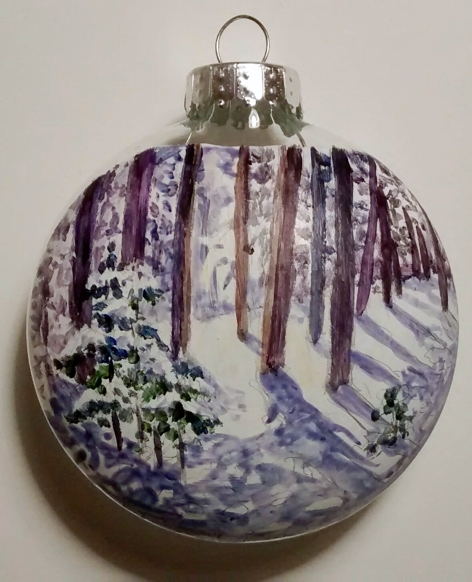 Winter Scene Ornament: features a beautiful winter day in a woodland forest. Ornament comes with a silver ribbon hanger, mini crystal beads at the top, signed and dated by me, and will be shipped in it's very own gift box. These ornaments are very impressive and beautiful. Lovely work. Thanks a lot Shelley. I enjoy painting the ornaments as a break from my normal watercolors.